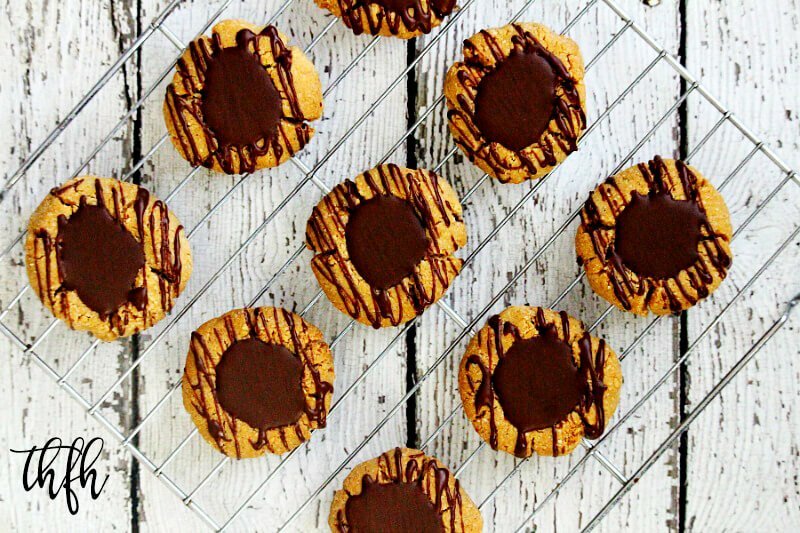 These Gluten-Free Vegan Flourless Chocolate Peanut Butter Thumbprint Cookies are the ultimate cookie recipe! 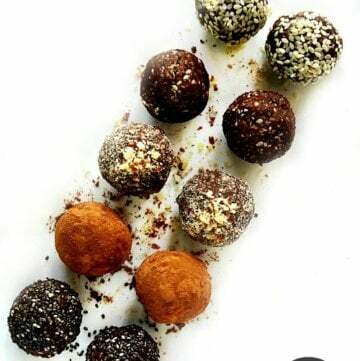 They are made with only 7 clean, real food ingredients, no eggs and are ready in under 30 minutes! 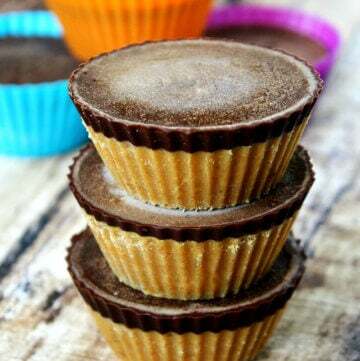 You can’t go wrong with these Gluten-Free Vegan Flourless Chocolate Peanut Butter Thumbprint Cookies because they are a favorite that everyone will love. 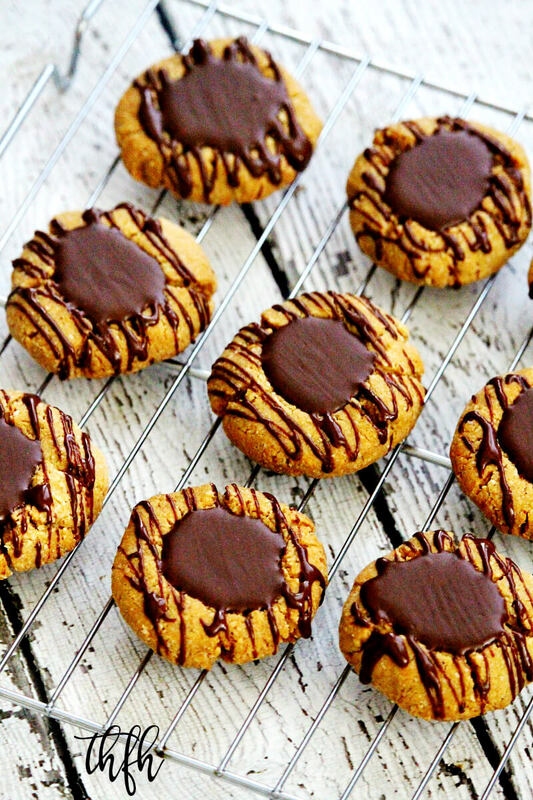 Peanut butter “thumbprint” cookies are also known as “Peanut Butter Blossoms” or “Peanut Butter Kiss Cookies” because in that version a chocolate Hershey’s Kiss is placed in the center of the cookie. 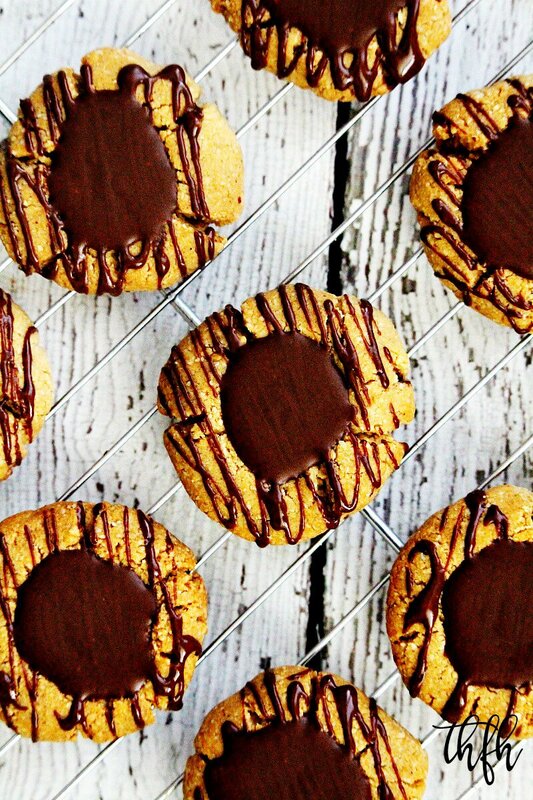 But no matter what you call them, they are a chocolate + peanut butter lovers dream come true! I based them off my Gluten-Free Vegan Flourless Caramel Thumbprint Cookies, which used my Vegan Caramel Sauce as the filling (yum!). So to change things up just a little bit, these flourless, egg-free peanut butter cookies are filled with a chocolate + peanut butter filling (double yum!) and then drizzled with more of the same chocolate + peanut butter filling. You can never have too much chocolate + peanut butter! This is a one bowl cookie recipe that takes less than 30 minutes to make these cookies, including baking time, and they are especially good right out of the refrigerator after the filling has firmed up and is nice and thick. 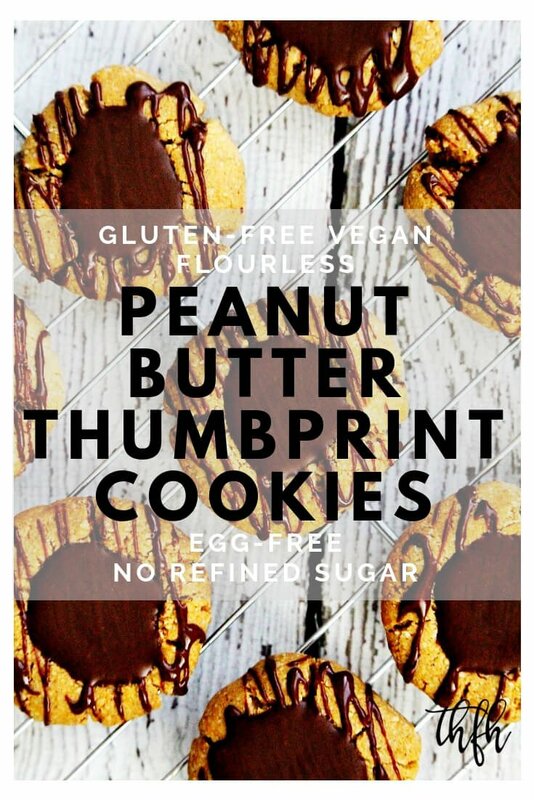 Is this Gluten-Free Vegan Flourless Chocolate Peanut Butter Thumbprint Cookie Recipe Healthy? 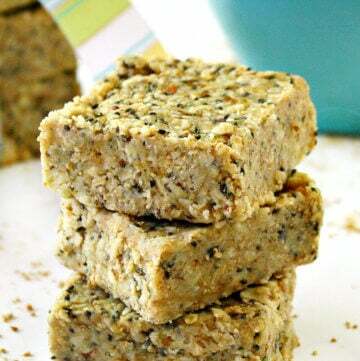 My healthier version is not only made without white flour but it’s vegan, gluten-free, dairy-free, egg-free, grain-free, flourless and contains no refined sugar. They can also be adapted to be Keto-Friendly (see substitution tips below). Want more healthy dessert recipes? 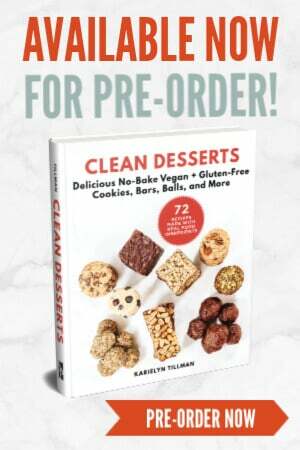 Check out Gluten-Free Vegan Flourless Snickerdoodle Cookies, Gluten-Free Vegan Flourless Fudgy Chocolate Avocado Cookies, Gluten-Free Vegan Flourless Lemon Chia Seed Cookies or my Clean Eating Cookbook with healthy, clean eating recipes just like this one that you will love! 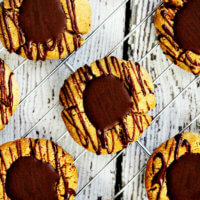 How Do You Make Gluten-Free Vegan Flourless Chocolate Peanut Butter Thumbprint Cookies? Prepare the cookies: First, you will add all the ingredients for the cookies to a mixing bowl and stir everything together. Then you’ll take out a spoonful at a time and form the mixture into a small cookie shape and place it on your cookie sheet. Before baking them, you’ll make a “thumbprint” into the center of the cookie that will hold the chocolate + peanut butter filling. Once you’re through with all the cookies, you’ll put them in the oven for about 25 minutes. Prepare the chocolate + peanut butter filling: While you cookies are baking, you can start working on the filling. 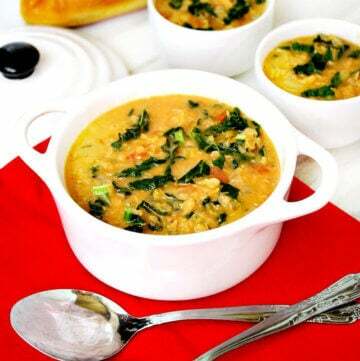 Just add all the ingredients for the filling to a small saucepan and melt on lowest heat until it’s creamy and smooth. It will need to be completely cooled before you add them to the cookies, so if you make the filling right after you put the cookies in the oven, it should be cooled off by the time the cookies are ready. Assembly: When the cookies and filling have cooled off, now you get to put a spoonful of the filling into the center of each cookie. You may have to re-do the thumbprint depending on how fluffy they got during baking. After you’ve filled each cookie with the filling, drizzle the remaining chocolate + peanut butter mixture over the top of the cookies. 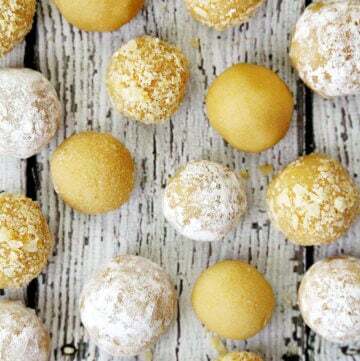 Refrigerate: You’ll want to place your cookies in the refrigerator for about 10-15 minutes to let the chocolate filling firm before enjoying them. Maple Syrup: You can try to substitute organic date nectar or coconut nectar as a maple syrup replacement. 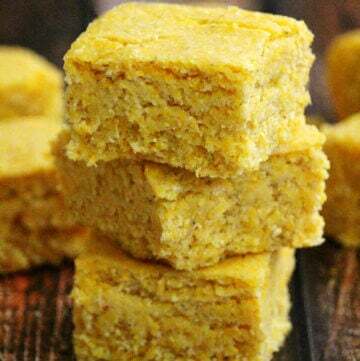 If you want to make this a Keto-Friendly dessert, try using a liquid sugar-free sweetener. Chocolate Chips: I exclusively use Enjoy-Life semi-sweet mini chocolate chips in all my recipes, but you could use another brand or sugar-free chocolate chips to make this a Keto-Friendly dessert. Coconut Oil: This is used as a replacement for butter and I prefer to use “refined” coconut oil instead of “unrefined” coconut oil because it doesn’t smell or taste like coconut at all. Vanilla Bean Powder: I prefer to use organic vanilla bean powder because the flavor is more intense, but you can substitute pure vanilla extract in the same amount. Himalayan Pink Salt: I prefer to use Himalayan pink salt in all my recipes, but you can substitute with sea salt or regular table salt. Can I Make These Gluten-Free Vegan Flourless Chocolate Peanut Butter Thumbprint Cookies Keto-Friendly? Yes! 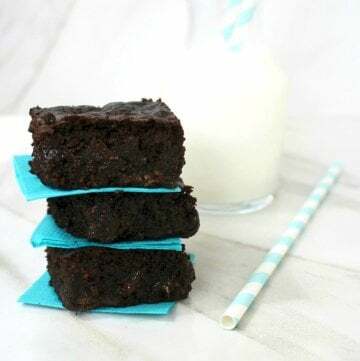 You can substitute the maple syrup with a sugar-free liquid sweetener and the Enjoy Life semi-sweet mini chocolate chips with sugar-free chocolate chips. 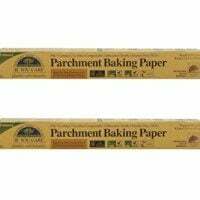 Preheat oven to 350 degrees and prepare a cookie sheet lined with parchment paper. Set aside. 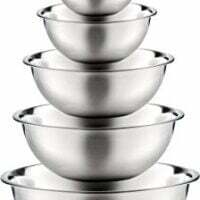 Add all ingredients for the cookies to a medium-size mixing bowl and stir until well combined. Take out a spoonful at a time of the cookie mixture, squeeze it tightly in your fist, then flatten it between the palms of your hands into a small cookie shape about 2-inches in diameter. Place each cookie onto the prepared cookie sheet. Before putting the cookie sheet into the oven, make a deep "thumbprint" with your thumb into the center of each cookie. 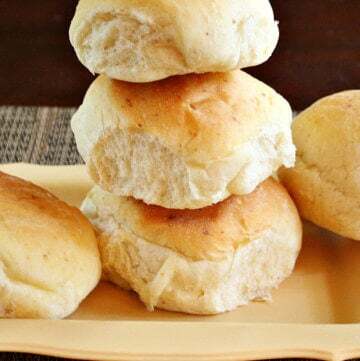 Bake at 350 degrees for approximately 18-20 minutes, or until they are golden brown. 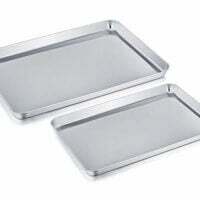 Remove the cookie sheet from the oven and allow the cookies to cool completely before adding the filling. You may need to re-do the "thumbprint" if it fluffed up while baking, but do it right after they come out of the oven and are still soft and before they cool. While the cookies are baking, add all ingredients for the filling to a small sauce pan and melt on lowest heat, stirring until everything is creamy and smooth, and taking care to not let it burn. Allow the filling mixture to cool completely before adding to the cookies. Once the cookies and filling are cooled, take a spoonful of the filling and place it in the center of the cookie, into the "thumbprint" indention. Drizzle any leftover filling mixture over the top of the cookies. Place the cookies in the refrigerator for about 10-15 minutes for the filling to firm. 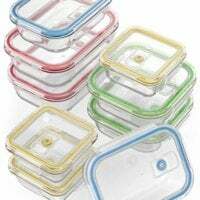 Store in an air-tight BPA-free container in the refrigerator until ready to serve. Copyright Notice: The recipe and photographs for "Gluten-Free Vegan Flourless Chocolate Peanut Butter Thumbprint Cookies" by Karielyn Tillman of The Healthy Family and Home website are copyrighted material and are licensed under a Creative Commons Attribution Non-Commercial No Derivatives 4.0 International License and are Digital Millenium Copyright Act (DCMA) protected. They cannot be used legally without my written permission.